Newmar Corporation is recalling 2,139 model year 2014-2017 Newmar Ventana, model year 2011-2017 Newmar Dutch Star, and model year 2011-2014 Newmar Mountain Aire vehicles, built on Freightliner XBR chassis and equipped with Cummins ISL engines. The power steering hose on the recalled vehicles may be routed incorrectly, and, as a result, the hose may rub against the power stud on the starter motor, possibly causing electrical arcing and a power steering fluid leak. Newmar will notify owners, and Freightliner dealers will reroute the power steering hose, free of charge. Owners may contact Newmar customer service at 1-800-731-8300. 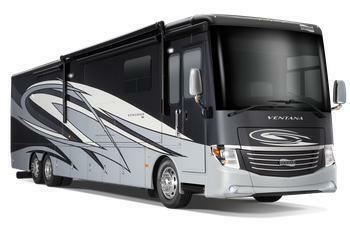 Newmar's number for this recall is FL-762.